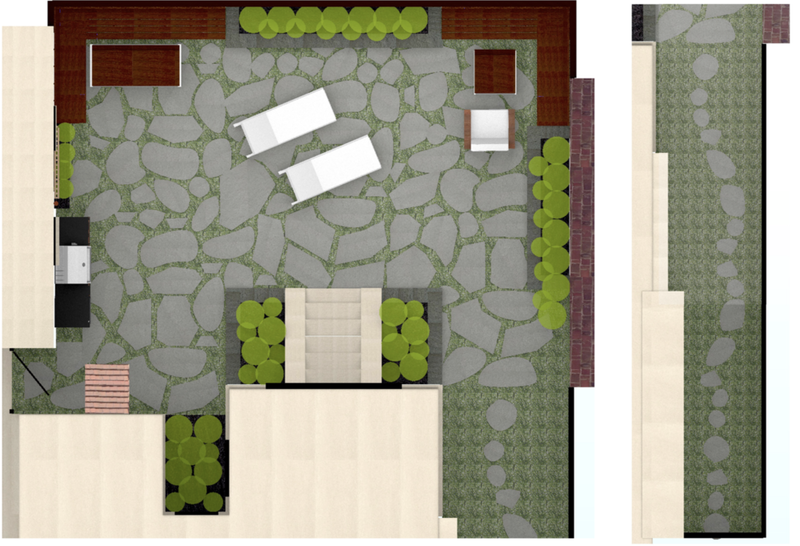 When designing this project in Forrest Hills, Queens, we wanted to match the traditional theme of the cottage’s exterior with a few contrasting modern elements. 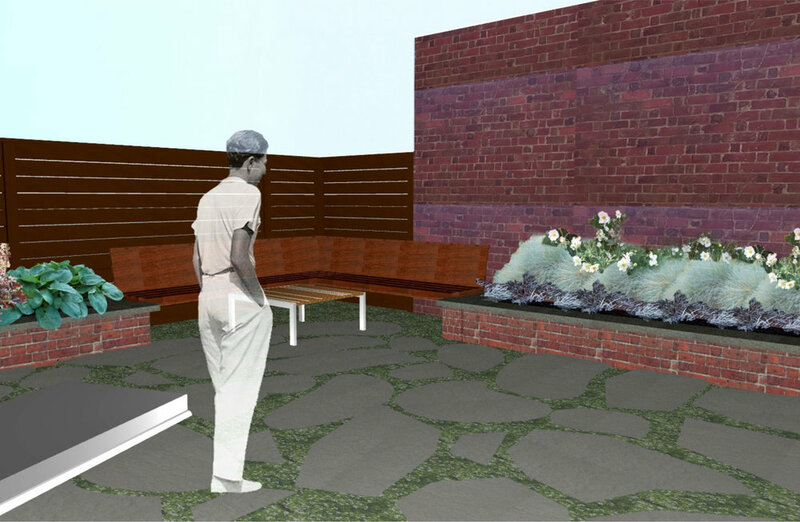 Irregular flagstone covers the majority of the patio, meeting raised brick + bluestone planting beds. 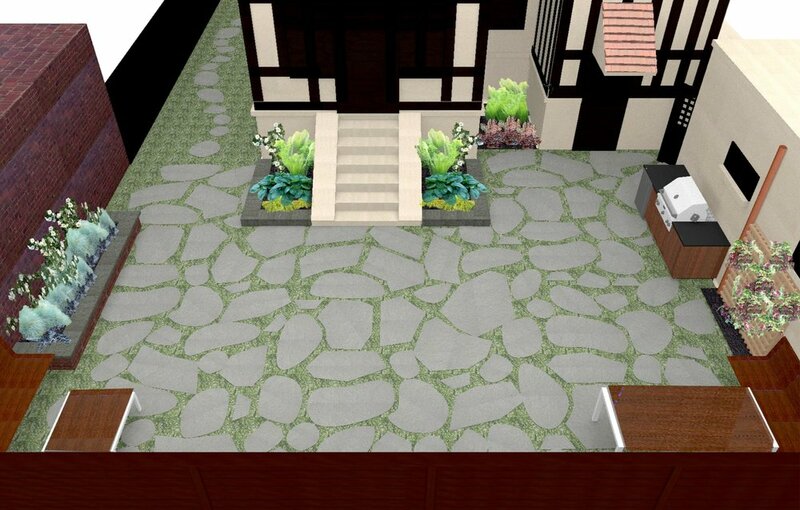 This design includes a brick pattern on the retaining walls that keeps consistent with the client’s existing garage, for added detail. 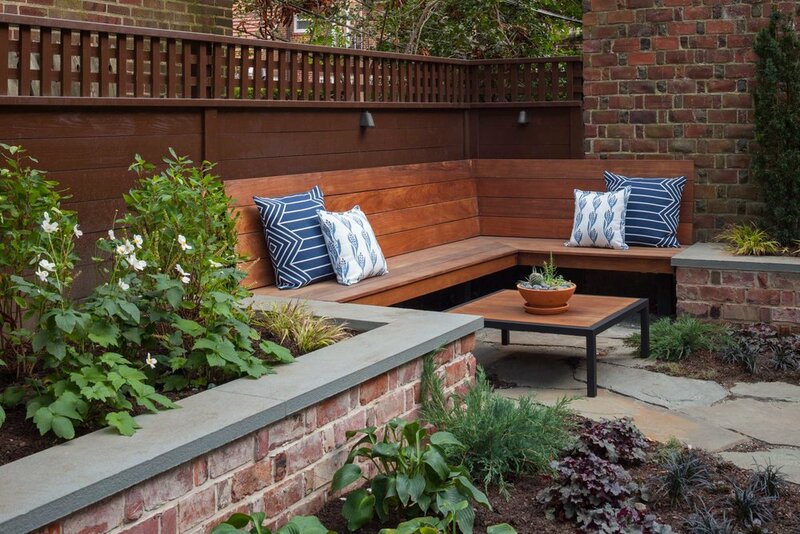 A mix of grasses, shade-tolerant perennials, and evergreen shrubs are combined with pops of colorful annuals to create contrast + balance. Furniture + accessories were sourced by our design team, with careful thought to our client’s style. 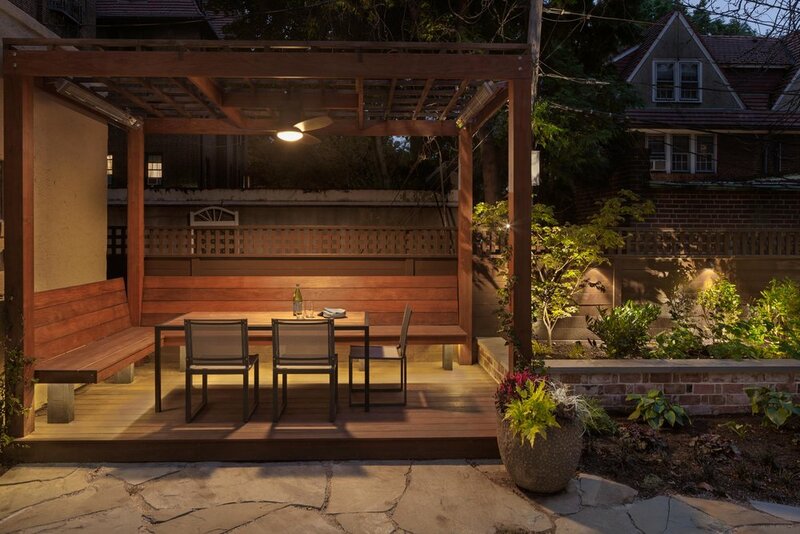 The ipe pergola + deck can be used year-round; with fans to keep cool in the summer + heaters for winter warmth. 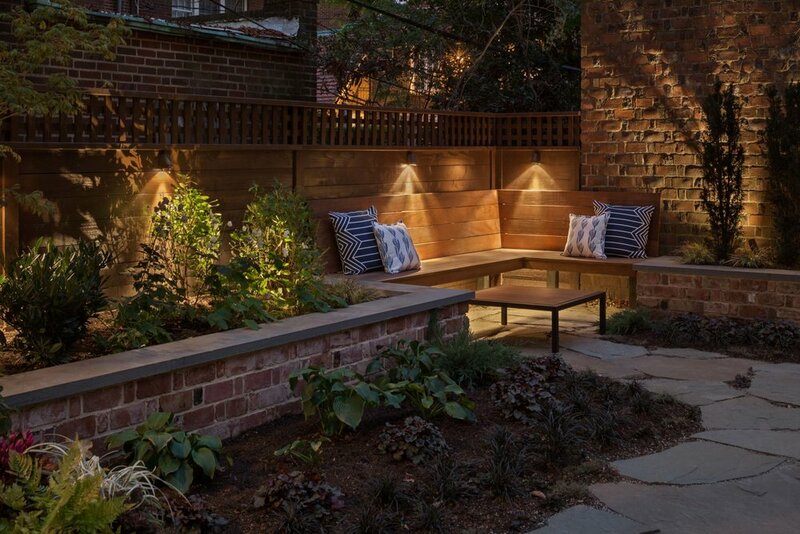 A tucked-away lounge area with floating bench provides a more intimate + casual relaxation space.